The Type 557 provides a highly accurate fill while minimizing the risk of product contamination. 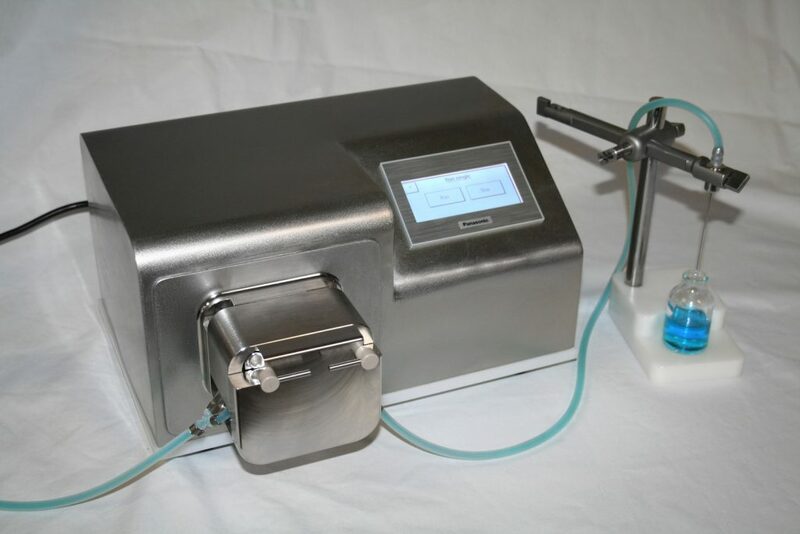 Completely isolated by the peristaltic pump action particularly aggressive products and/ or environmentally sensitive fluids can be safely delivered through the machine. As the only part in contact with the liquid, pharmaceutical grade tubing ensures a sterile product transfer. Rotary piston pumps and are designed for dosing of liquids within a range volume from 0.01ml up to 100 ml with accuracy of up to +/- 0.05%. Pistons and cylinders are manufactured from one single piece of stainless steel. The connection sites are integrated in manufacturing which eliminates product residue around welding seams. Dosing units are made of AISI 316L stainless steel and plated with hard chrome. Due to the high precision during manufacturing no additional sealing elements are necessary. 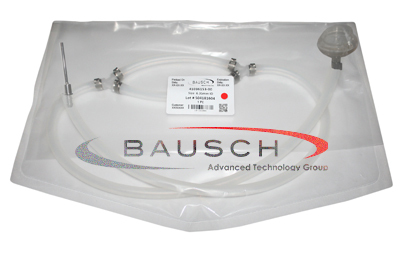 Our Fluid Path Kits are specifically developed for accurate dosing in BAUSCH Pumps. 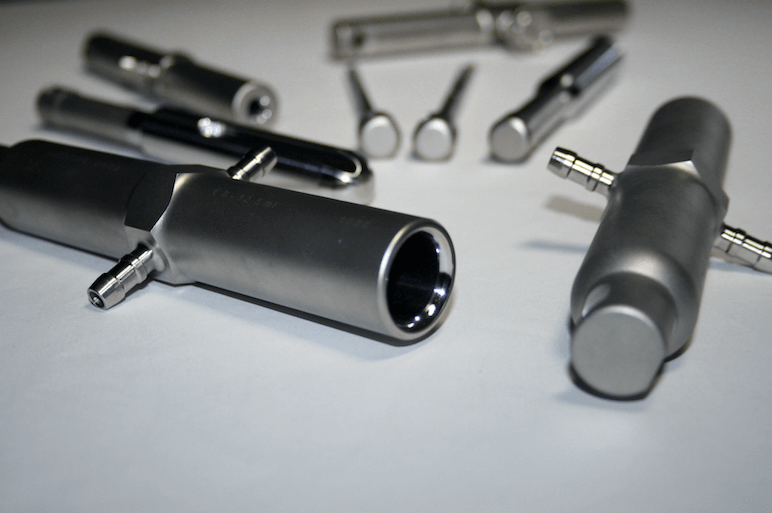 We offer a wide range of tubing sizes and connection types. Our rotary piston pumps are manufactured from one single piece of 316L stainless steel, providing all the benefits of rotary piston technology without the worry of welded components. They provide precise dosing while achieving filling accuracies of up to +/- 0.05%. 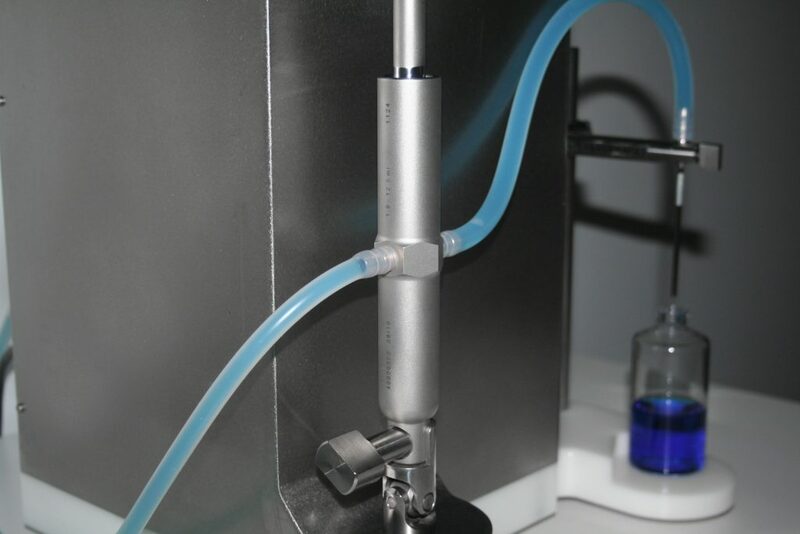 The pumps cover dosing ranges from 0.01 ml to 100 ml and can be used in any filling machine. Universal filling, rinsing and gassing needles are laser welded, made of stainless steel with 3.1 B certification according to EN 10204. Inspection is executed following DIN 50049 and SOP 030414-2. The needles fulfill the requirements of pharmaceutical industry and can be used on every standard filling machine. These needles are classified by tube types and connection types. 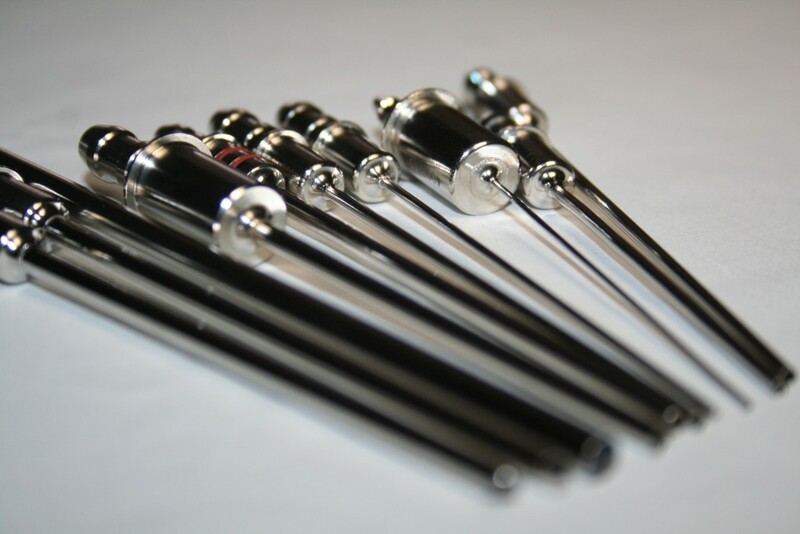 Custom needles for special purposes or non-standard sizes are produced if needed.